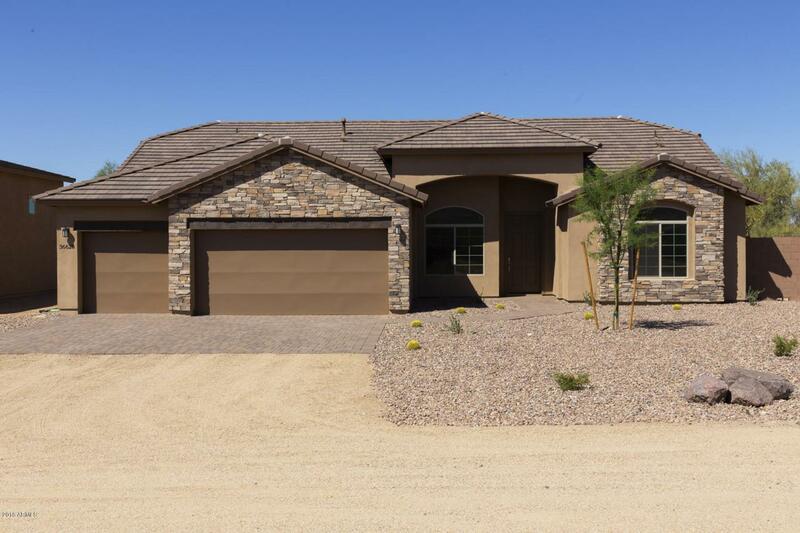 BRAND NEW MOVE-IN READY Cave Creek Home! 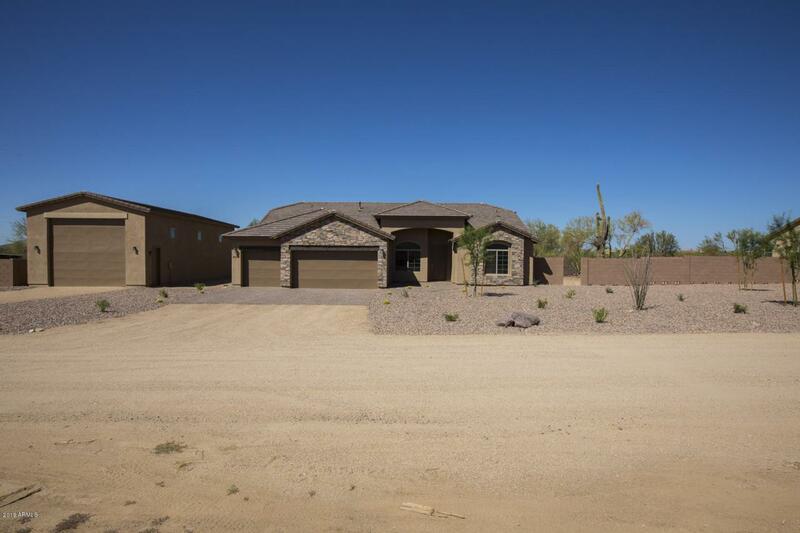 Stunning 4 bed 3 Full Bath with 3 car Garage and 24X50 RV GARAGE Large Enough For A Class 1 RV and Boat, Toys and Workshop. Open Kitchen concept with Vaulted ceiling, Premium White shaker cabinets, Quartz Countertops, Huge Kitchen Island, Stainless Appliances, Tiled Backsplash, Wood plank Tile Flooring throughout main living areas, Plush Carpeting, two-tone paint, Tile Showers, 8' Doors, Satin Nickel hardware and large Laundry Room. Energy efficient 14 Seer HVAC, Duel pane Low-E windows and R-38 Cathedral Attic insulation. Exterior Tuscan Ledge stone, Paver Driveway, Entry Walkway and back Patio. 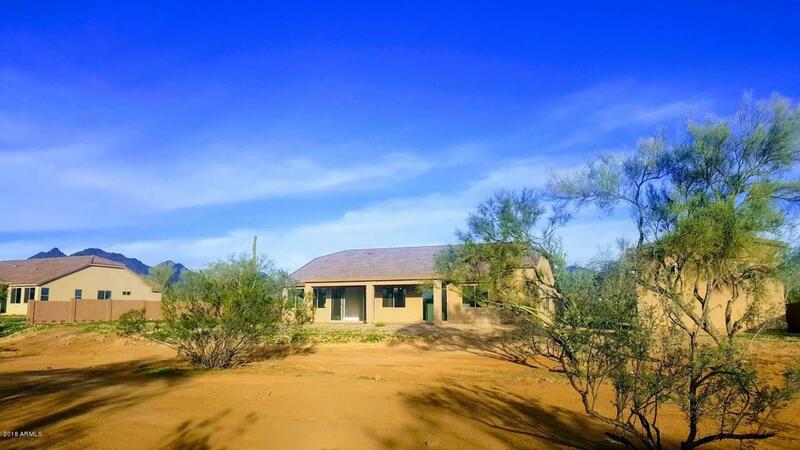 Large Lot with Lush Vegetation and Mountain Views. Perfect Home those who are seeking a Private Home without an HOA. Bring your toys! 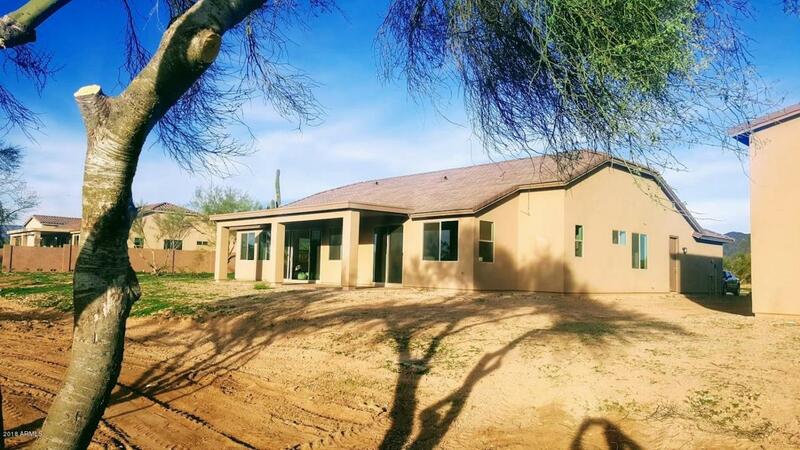 Won't LAST!Hard to find New Construction with RV Garage Private Home site sitting on a 1.95-acre lot with Views of the desert and surrounding mountains. Close to Shopping, Restaurants, Golf and Great Schools. This home is an Absolute MUST SEE.